Much like what happens with tomatoes and most people thinking they are just a vegetable, when in reality they are a fruit, well, with cucumbers is the same, most people believe they are a vegetable when they are actually a fruit. Just as other fruits, they benefit from eating it are innumerable, rich in nutrients, minerals, and antioxidants, that will help your body prevent and cure certain conditions. Cucumbers are very low in calories and very rich in water content and soluble fiber and that’s why it is so good to keep us hydrated and promote weight loss. Much like watermelons which are mostly water, cucumbers are a whopping 96% water. If you want to maximize the number of nutrients entering your system, you should eat them unpeeled. Because they are so rich in anti-oxidants, cucumbers are excellent in the prevention and curing of several health conditions, so increasing your intake of cucumbers in your diet will be immensely beneficial to your overall health. Studies have shown that we get up to 40% of our hydration from foods, which is why any doctor will encourage you to add to your diet fruits and vegetables with rich hydration properties. Sure, you can get all the hydration you need from water, but the added bonus of fruits like Cucumbers is that in addition to water, you are getting a host of minerals and nutrients that your body desperately needs. It’s like hitting two birds with one stone. Cucumbers are a great help when we want to lose weight because they are so low in calories, you can have all the cucumbers you want, without having to worry about counting calories. In addition to that, they are just delicious, having them in a salad, sandwiches or side dishes truly enhances the flavor. If you want to prevent or you are already suffering from high blood sugar or diabetes, then you may want to start eating Cucumbers right away, they have been scientifically proven to be good and reducing the sugar levels in our blood, as well as preventing complications emanating from it. 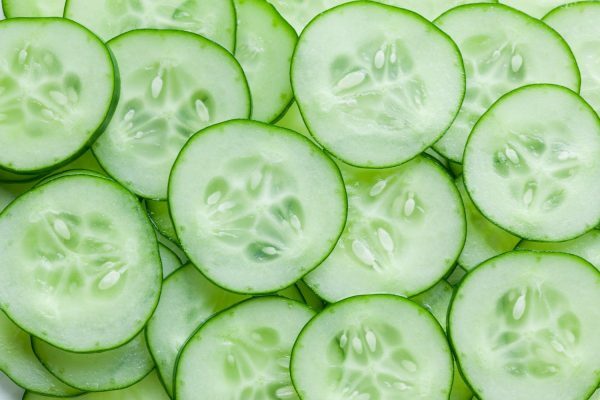 Regular Bowel Movements can be enhanced by eating cucumbers because they are so rich in water content and so good in hydration, it helps to prevent conditions like constipation. Moreover, they are rich in water-soluble fiber, more specifically, Pectin which has been proven to be good for improving bowel movements.